Jem has been shortlisted as a finalist in the Mixed Use – Completed Buildings category for the prestigious World Architecture Festival 2015, which will be held from 4th – 6th November at Marina Bay Sands, Singapore. Jem is a mixed-use building consisting of retail and office components in the heart of a new commercial and transport hub in Jurong Lake District. 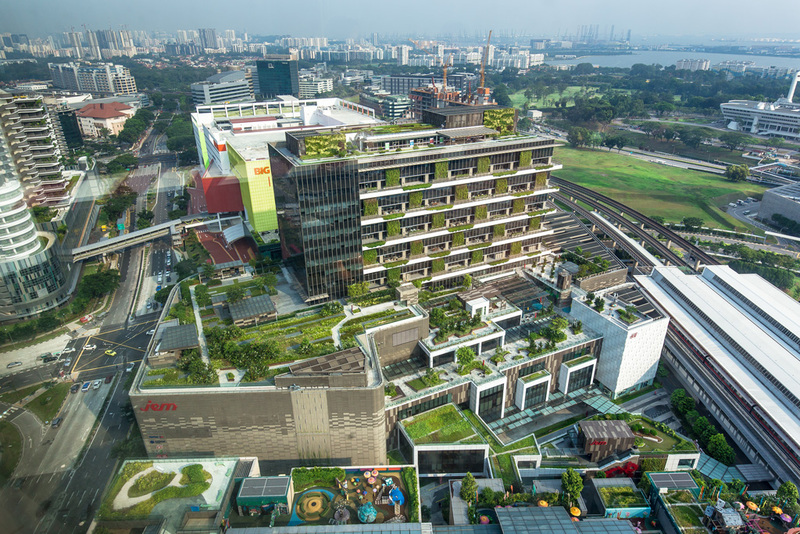 Jem connects and activates the precinct through a series of sheltered paths across various levels and also provides a cascading sky park for both shoppers and office occupants a soothing place to recharge. Launched in 2008 as a festival and live awards competition dedicated to celebrating and sharing architectural excellence from across the globe.